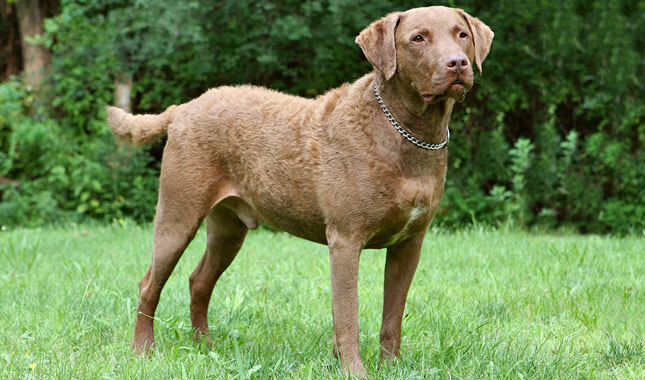 Chesapeaker Bar Retriever is a giant breed. 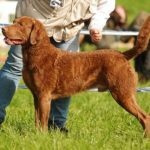 It is huge in size and belongs to Gundog, sporting and retriever breed groups. 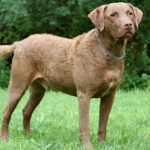 These breed members are also referred to as CBR, Chesapeake or Chessie. It was first developed in Chesapeake area of US in the 19th century. It was initially used by hunters. Being primarily a family pet, it is an excellent hunting companion as well. It is famous for their hunting ability as well as love for water. 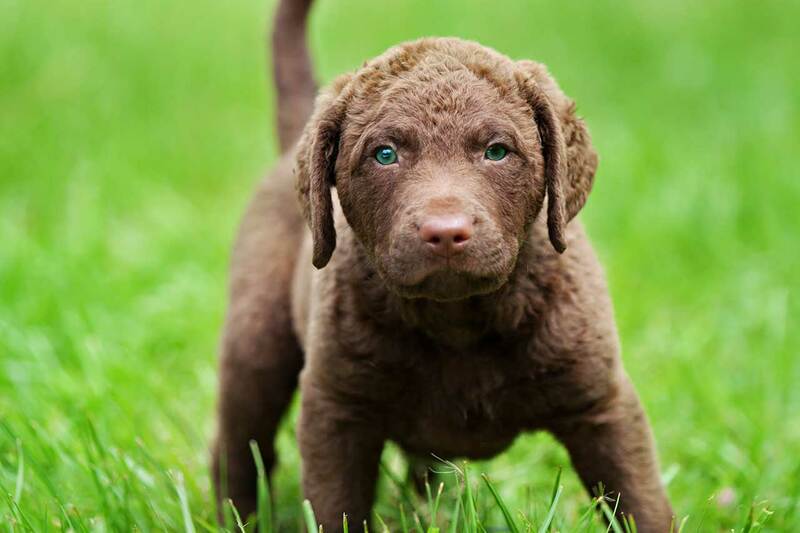 It looks similar to Labrador retriever. Maintenance: Maintaining Chesapeake is an easy task. Infrequent grooming is required. No stripping or trimming is needed. Shedding: Shedding is moderate. Regular brushing will help a lot. Be ready to vacuum some often. Training: Training may not be that easy. 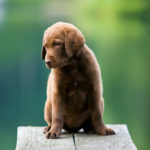 It is an average dog when it comes to this aspects. Don’t expect sudden results. It will take time. Watchdog: The dog has an excellent watchdog ability. It will alarm the owner as soon as it sees some strangers. It is considered as a good guardian and is protective for the family as well. Adaptability: Low adaptability. Not at all suited for apartment living. Average size yard is their place. It can handle all sorts of climatic conditions. Active: Proper exercise is essential to keep it fit. Fewer trips to Dog Park is a nice idea. New Owners: It may not be an excellent option for new owners. But is good for people who have had some experience with dogs in the past. Kids: Kids will surely enjoy its company. It is a perfect breed for kids. It is energetic, playful and affectionate around the kids. 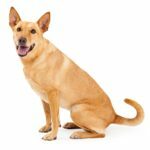 The prominent feature include clear eyes of amber or yellowish hue, double coat that waves on neck, shoulder, loins and back. The coat has an oily feel and odor is referred to as slightly musky. 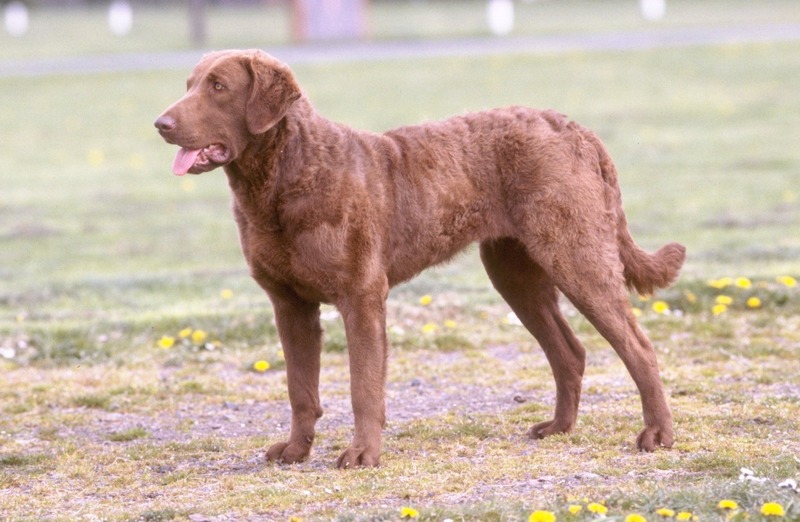 Brown is the major color seen in this breed. Head is broad and round. Ears are small and lips are thin. Forelegs are straight with excellent none. It is known for powerful and large chest. The life expectancy of Chesapeake Bay is 10 to 13 years. 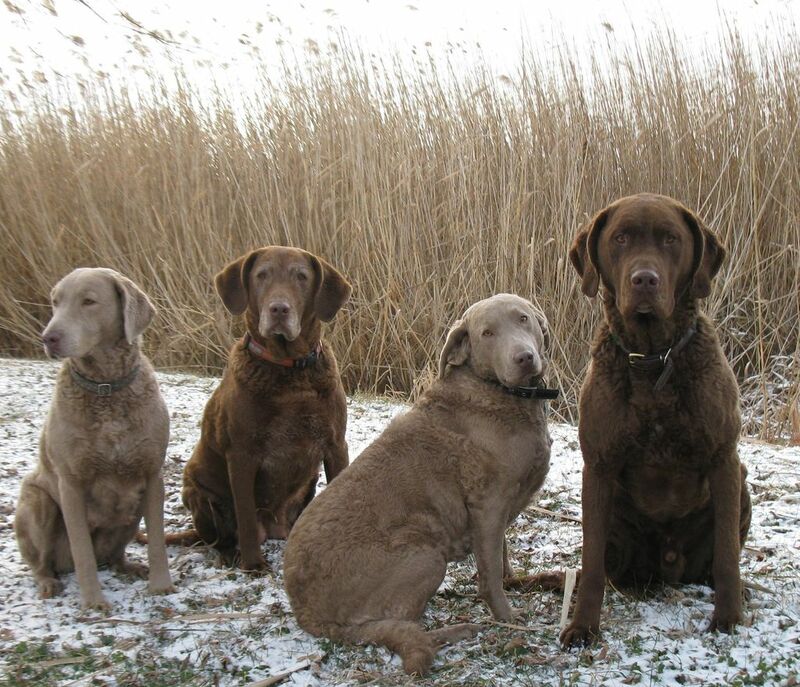 This life span is just below the average lifespan of most of the large breeds. 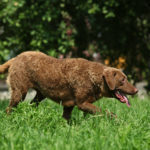 As this breed is larger is size and healthier as compared to other breeds, it weighs typically between 55 to 80 pounds. The height ranges from 21 inches to 26 inches. 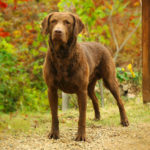 Historically bred as a gun dog, it is undoubtedly an all around dog who wants to be the center of attraction. Its protective and dominant nature is surely a blessing for people, but can turn into a hazard if you are ill prepared. It requires consistent training. They are looking for a master who can act like a leader, otherwise it will challenge the master on everything. It barks loudly. It is grumble, growl and will say roo in loudest voice again and again. 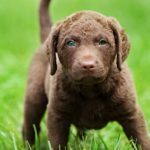 It is bred to bark to protect the family, thus you don’t think of training it not to bark. If you don’t want a barker, there are other options available for you. It is fast, agile and athletic. You need to socialize it in early ages so that it don’t develop sense of aggression. It loves to play in water and outsides. Proper exercise should be given. They are not interested in other dogs but have some sense of tolerate. They can also be uninterested in strangers. It is closer to the family. 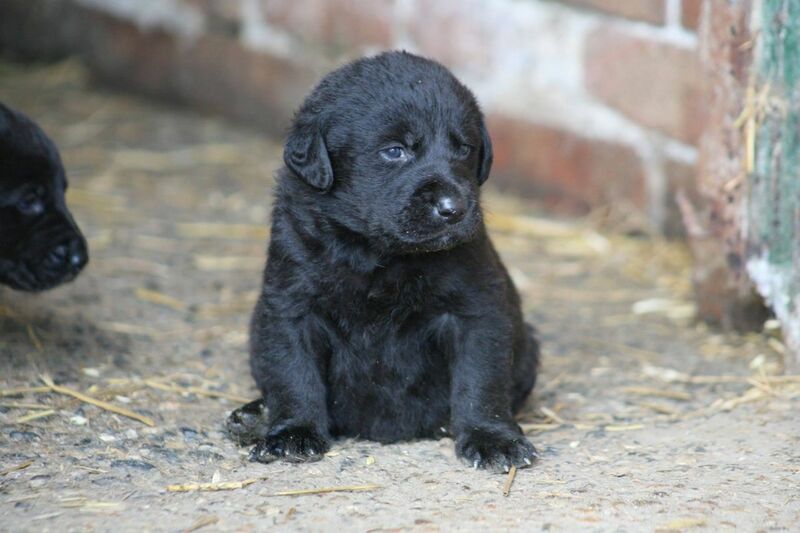 It will be exceptionally devoted, happy and incredibly loving pet for family. It loves spending time with people it knows and wants to be the best friend of everyone. It is loyal, sensitive and willing to please you all the time. 2 to 2.5 cups of best quality dry food is recommended. Meal should be split into two. You need to take care that the diet depends on age, size, build, activity level and metabolism. Dogs are also like people and all of them don’t need the same amount of food. 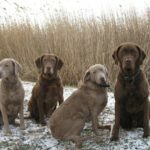 An active dog will need more food. The quality of food also matters in this regard. 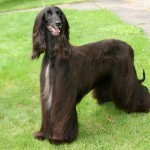 This breed has medium length dense coat which is water resistant. 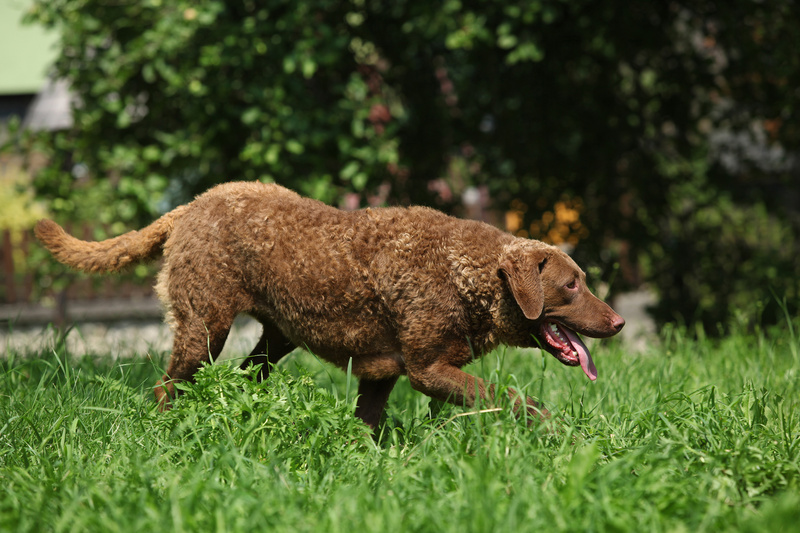 Depending of the seasonal shedding, the grooming requirements may change depending on the local climatic conditions. Nails should be trimmed and ears should be cleaned after every 4 to 6 weeks. A certified eye wash should be used to clean. 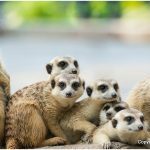 Bathing usually depends on duration of year and shedding cycle. Bath should be given when you need to get off the grime and dirt. Extra coat care should be taken in extreme dry conditions. 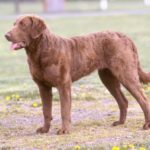 The Chesapeake Bay Retriever will shed a fair amount of hair during the peak season. You will find many hair stuck to your clothes, couch, carpets and everything else in your house. 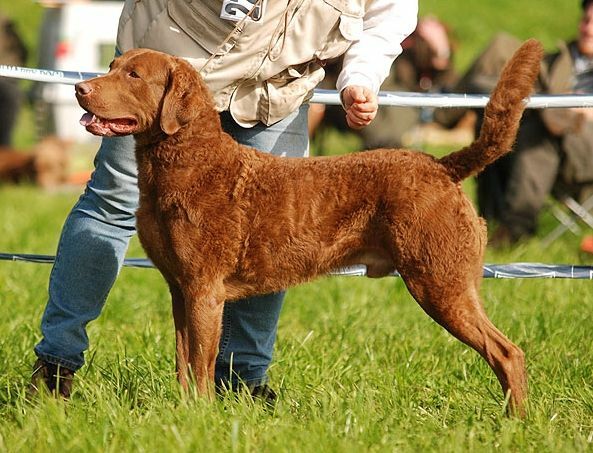 It is a versatile breed and loves to participate in hunt tests, field trials, obedience, tracking, conformation and agility. Despite its versatile nature, it remains loyal to its roots i.e. hunt dog of excellent ability and stamina. 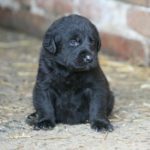 It is one of the intelligent breeds out there and learns at a considerable high speed. 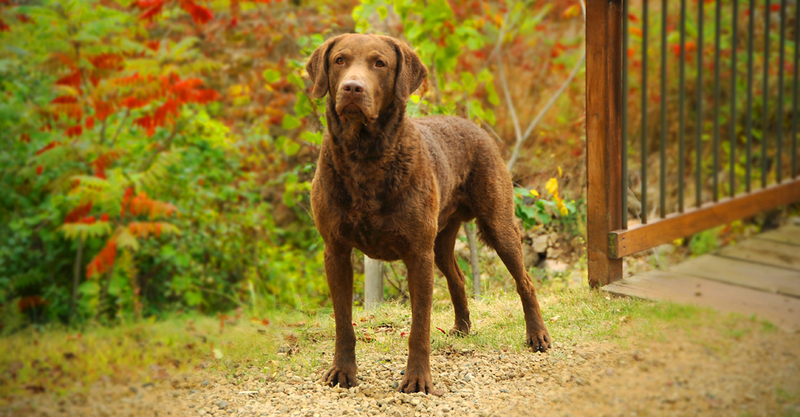 Historically, it is considered as one of the difficult breeds to train. 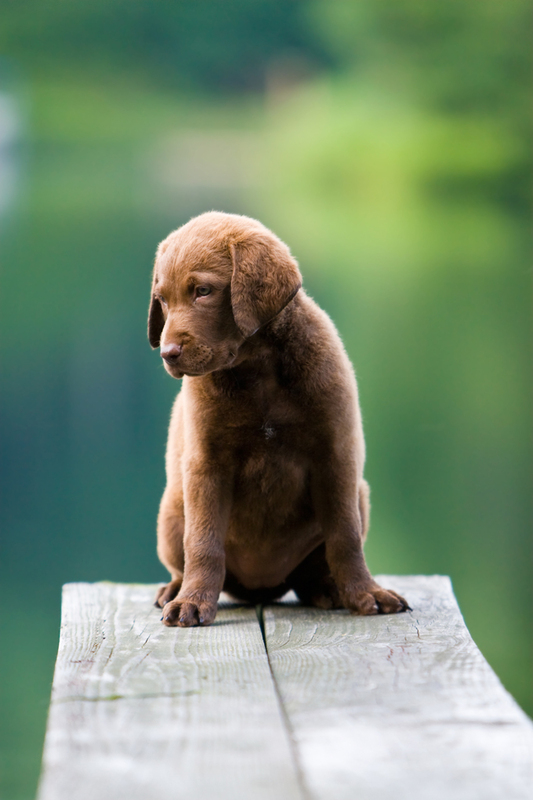 According to the trainers, this breed requires more attention and physical discipline as compared to any other breed. Trainer needs to be consistent and obedient. Do not let the dog know that he is in charge of all the things. Proper play time will be given before and after training when dog wants to work with no discipline required. Friendliness: It is an all-round friendly breed. It will be friendly with family and kids. It doesn’t feel comfortable with strangers and other dogs. Loves Outdoors: It loves to be in an open environment. It feels happier when involved in athletic activities. Dependable: It is dependable and steady tempered. Trainability: It is not easy to train. You need to have some courage and routine to train it. Intense: It is highly intense.